“Unless the Lord builds the house, the builders labor in vain. Unless the Lord watches over the city, the guards stand watch in vain” (Psalm 127:1 NIV). This verse jumped to mind right away as I was thinking about what to write about for my “U” post in the “Blogging through the Alphabet” challenge. I like to plan, and I like to accomplish tasks. When it comes to homeschooling, it’s really easy for me to work hard on the to-do list, and forget to pray, and lift all my plans up to the Lord. I want the Lord to build our “house” of our kids’ education, and allow him to direct me as I plan and carry out our school year. 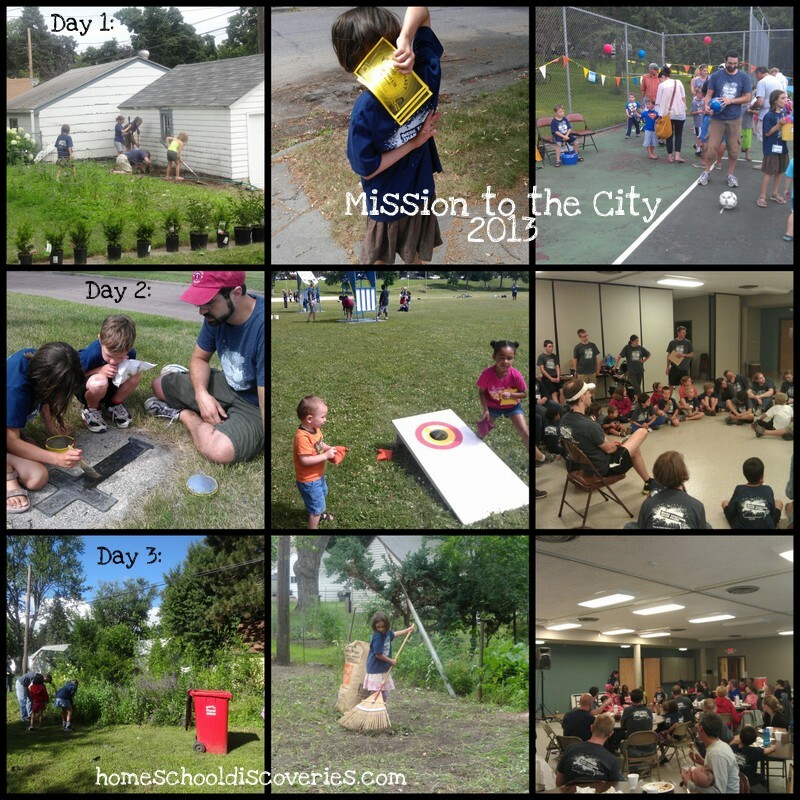 You know how it goes…time flies…when you are…having fun, preparing for Vacation Bible Camp, preparing for a big road-trip vacation, oh and getting ready for a new school year all at the same time! I looked back today and realized it’s been three weeks since I did a wrap-up post! The animatronic dinosaur exhibit at the zoo was a favorite on that outing, and a new bike carrier for our car led to a favorite on the camping trip — actually being able to take our bikes with us so we could take a bike ride with our friends! 1. New books are arriving in the mail/UPS…but between Vacation Bible Camp at our church (which I am in charge of, so it is kind of time consuming), and our big vacation, we won’t be starting until the day after Labor Day, just like most public schools around here. 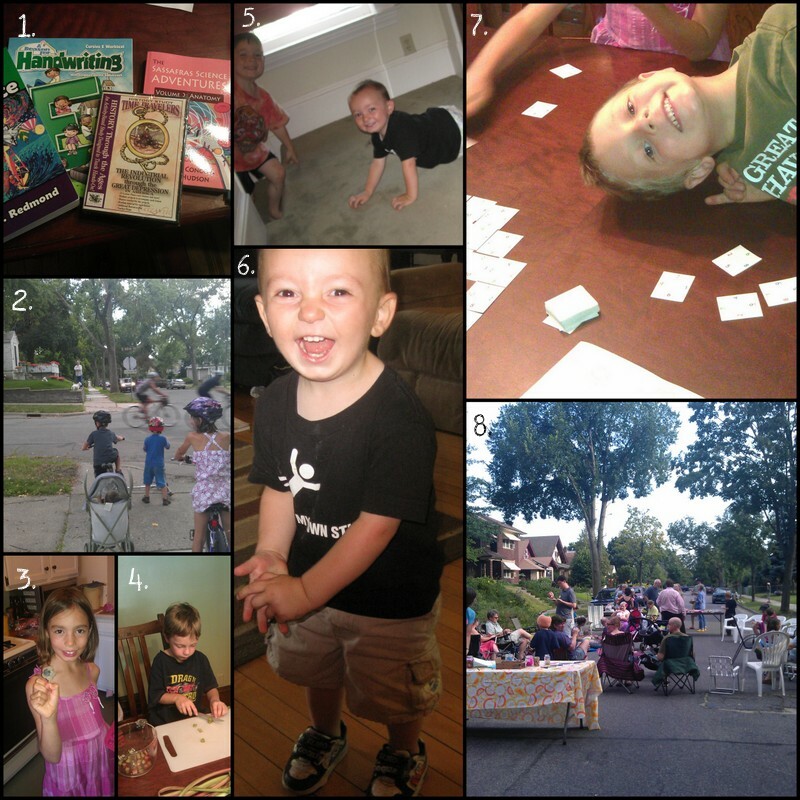 I’ve updated our curriculum page with our picks for 2013-2014. 7. We actually played a math game this week (Corners) — not something we have done much of this summer! 8. Our National Night Out block party is always a top summer highlight. This year we had to wrap it up early, unfortunately, due to a sudden thunderstorm. Whew,…that’s it for now. I’m looking forward to all our hard work with VBC coming to fruition next week, then relaxing and having fun on vacation. 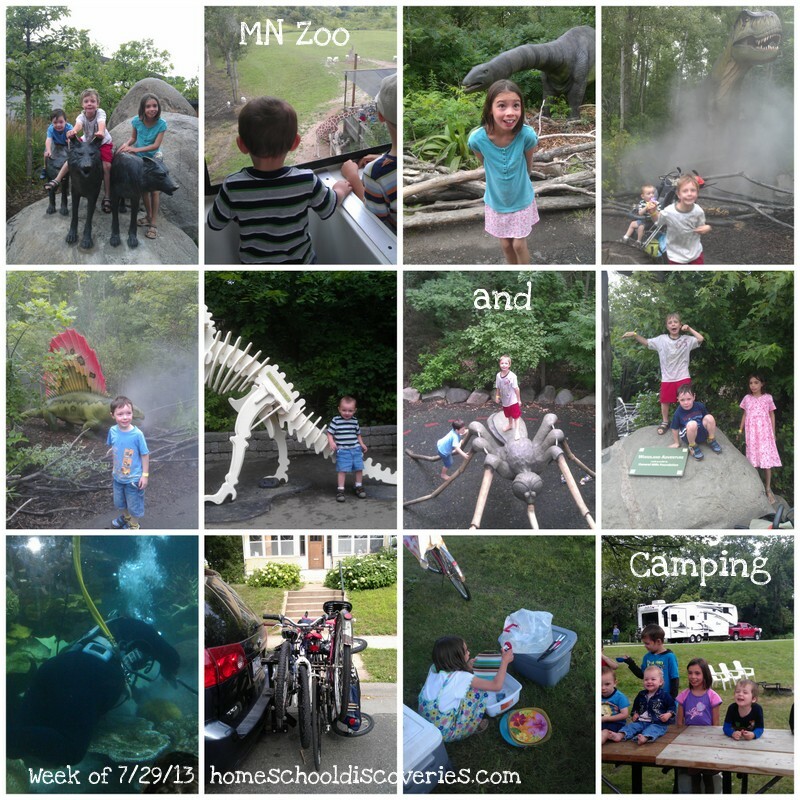 Linking up with: Collage Friday and The Weekly Wrap Up. This past year we studied the “first half” of United States History using my own literature-and-library-book based plans. We started at the beginning with Native Americans, and I originally thought we would only study up until 1850, or just before the Civil War. As the year went on, I saw that I had over-estimated how long some of the units were going to take, and we also were able to get a nice early start on our history studies last year (starting in July). 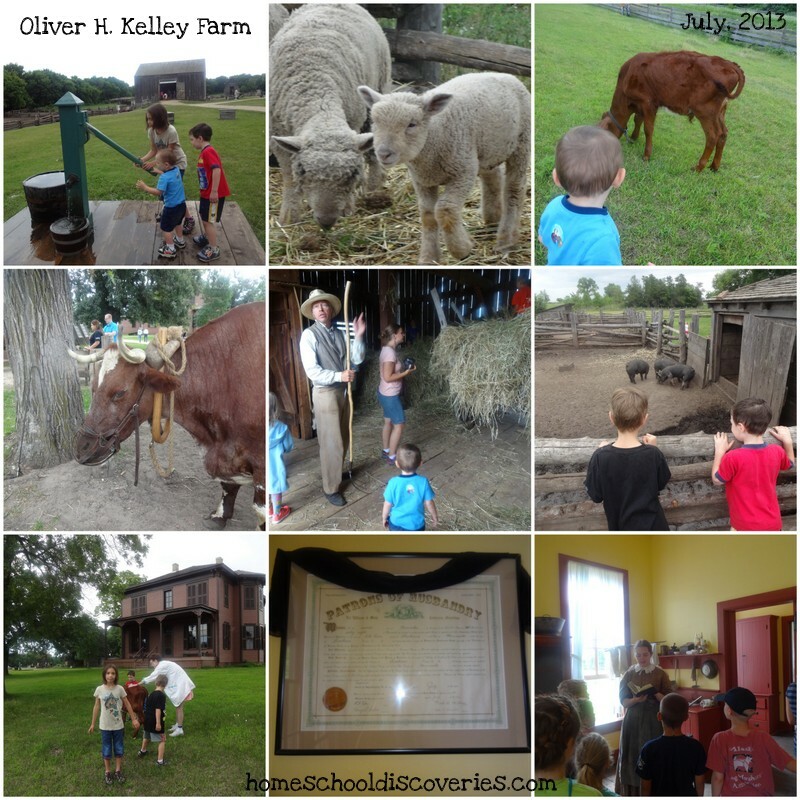 After we completed my original plans through 1850, we did a unit on Slavery and the Underground Railroad and a unit on the Civil War (I never managed to write blog posts about those units though…maybe I should still go back and do that!). We’re going to finish our US History studies this year, starting with the post Civil War Reconstruction era, and making our way up to the present, or at least somewhat recent events. 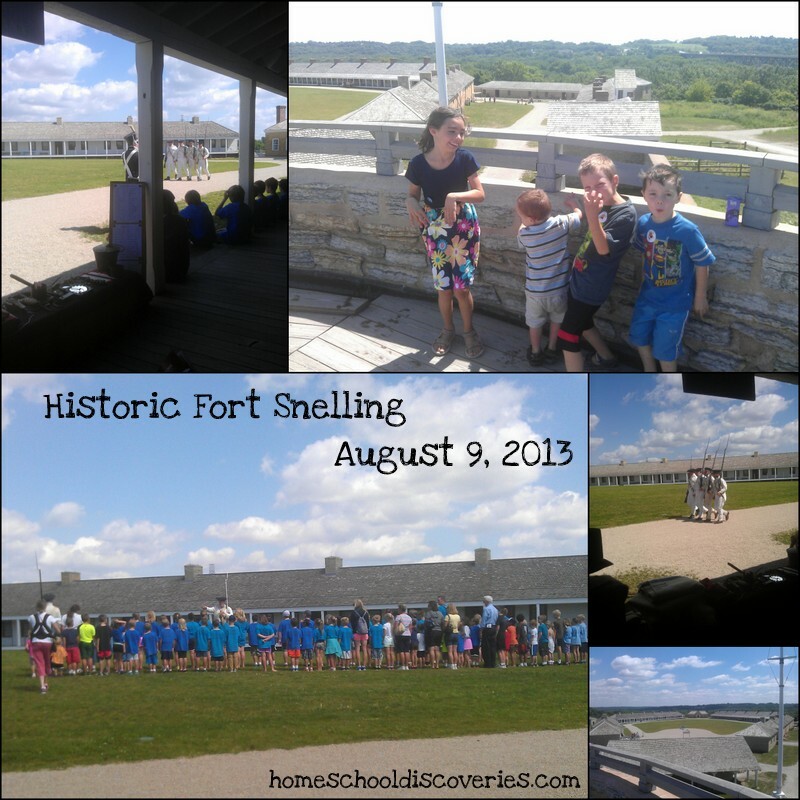 I realized the other day that events I remember (like the political changes in Eastern Europe in the 1990s and the terrorist attacks of 9/11) are history for my kids! I’m still making my own book-based plans for read-aloud literature, read-alone lit for Miss M, and a “book basket” of picture book and short non-fiction selections for Miss M to read alone or me to read to the boys. 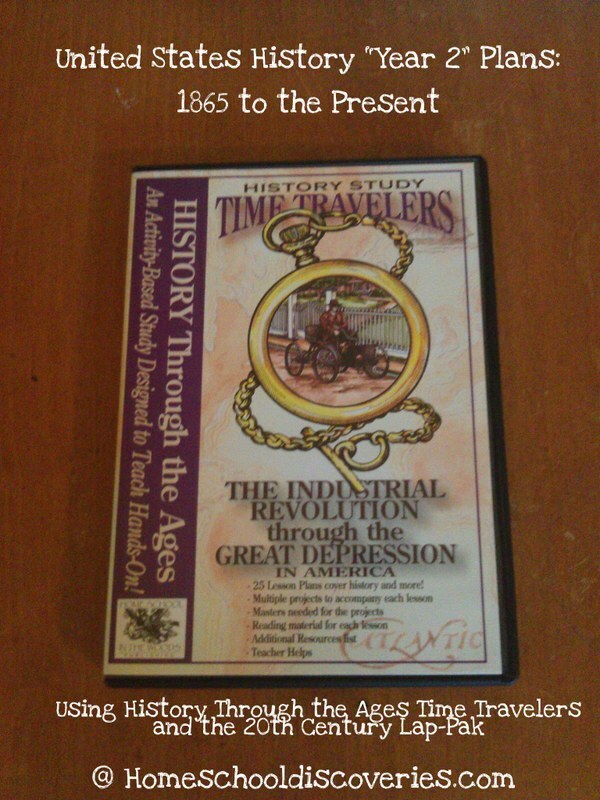 I’m also adding in at least one “History Through the Ages: Time Travelers” study for Miss M. I’ve already purchased the Industrial Revolution through the Great Depression title. There’s one more on WWII, then if all is going well, we also might use the 20th Century Lap-Pak. That title has only the lapbook component, and not the short readings and other projects that come along with the Time Travelers…but it would give us some written component to take us to the present day. I’m excited to have the short reading sections form a bit of a spine for Miss M, since I don’t have another spine text in mind. I’m also hoping that since the lapbook pieces and other projects are assigned lesson-by-lesson, it will help us stay on track with having some written aspect to our history studies (something we failed to do last year). I’m still refining my reading lists (and I may not get them all done before the school year starts), but here is my overall plan for the year…subject to change, of course, if some time periods take more or less time to cover than I am expecting! I’m hoping to find the time to post by book lists and unit wrap-ups throughout the year! Linking up with…Curriculum Planning at Highhill Education and History/Geography Link-Up at All Things Beautiful!